Laminate Medical has announced the success of the first four Spanish clinical cases using the VasQ device. The VasQ targets the two main fistula failure modes: turbulent flow around the area of connection and increased venous wall tension due to the exposure to arterial circulation conditions. Disturbed fistula haemodynamics result in pathological thickening of the inner layer of the vein that leads to thrombosis and stenosis, a narrowing of the blood vessel. Mestres, who performed the surgeries said: “VasQ is very easy to implant, with minimal change to the regular fistula procedure and in no way increasing time or difficulty of the arteriovenous fistula (AVF) creation surgery. Also the use of VasQ has a really easy learning curve”. He added that the concept of VasQ is very interesting and that giving the AVF anastomosis the proper angulation and fixation as well as optimising the flow patterns can significantly improve AVF. 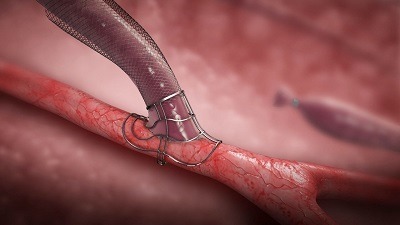 “After receiving IDE approval from FDA to initiate clinical study of the VasQ device in the USA and reimbursement approval in Germany, this is the next important and strategic milestone. This will allow more ESRD patients and physicians to benefit from the tremendous promising results which VasQ showed in our multinational randomised controlled trial,” said CEO Tammy Gilon, adding that improved functional maturation of fistulas with VasQ are a key aspect of this results.